A commission piece for Khaos, of the two taur characters battling it out on a starship shuttle bay. As a Star Trek fan myself, this was a really fun piece to make! 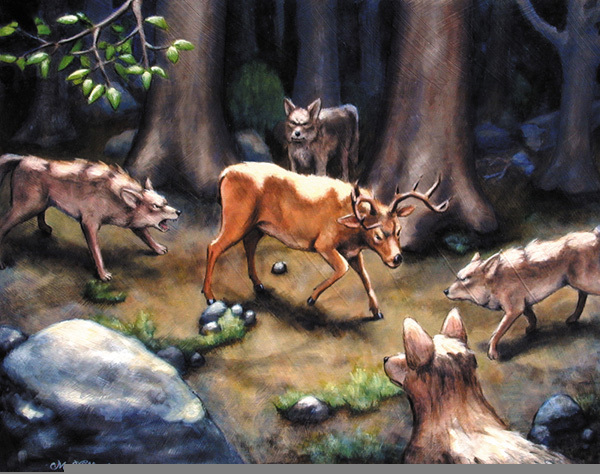 Oil painting on Masonite Substrate. 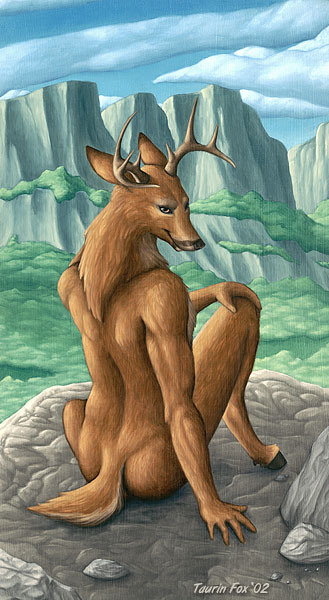 18" x 24"
An oil painting from '02 of an anthro stag overlooking his valley. A commission piece for Tseno and Icelos, of their characters. 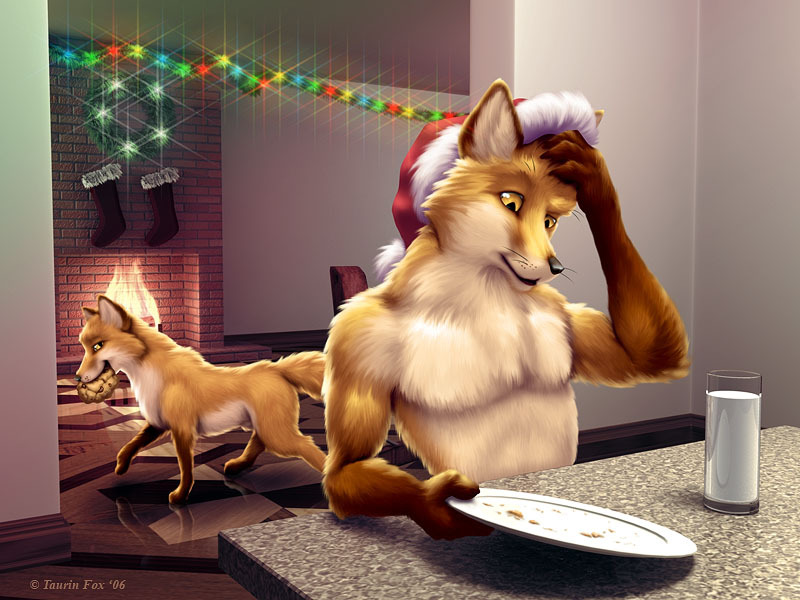 In this piece, Ahmed encounters Kish Fox as a frisky dancer and enjoys a private dance from the young fennec. 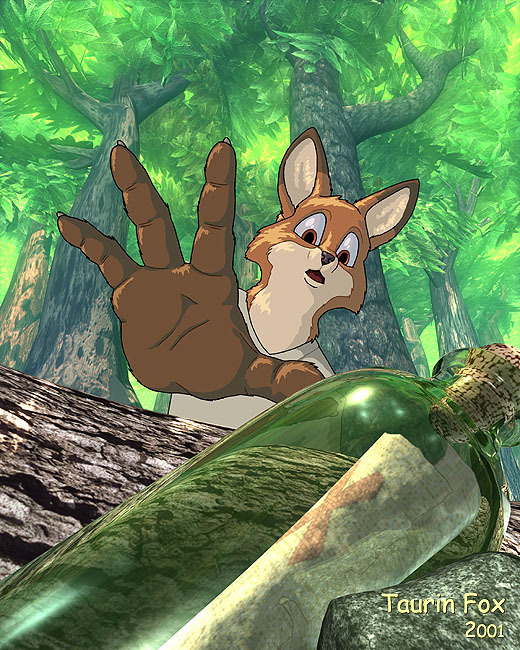 See Part 2 in the Adult gallery! 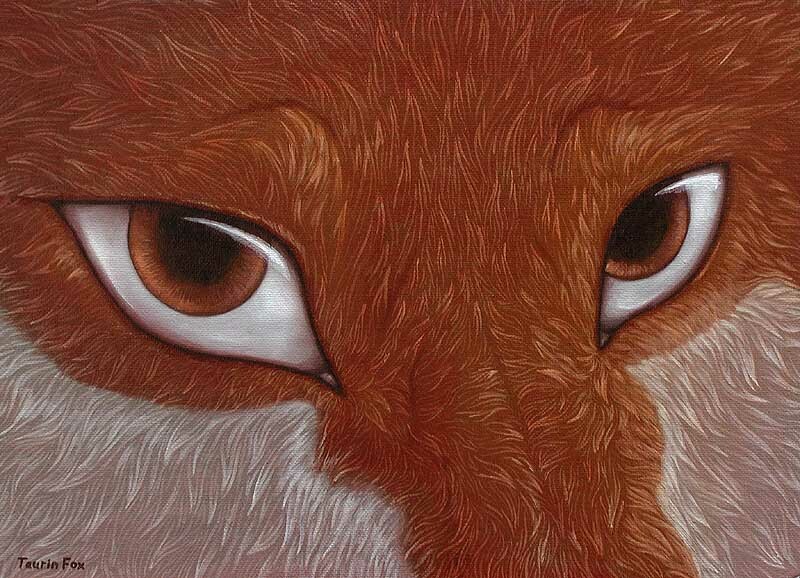 This was an oil painting I did in college for my Wildlife Illustration course. 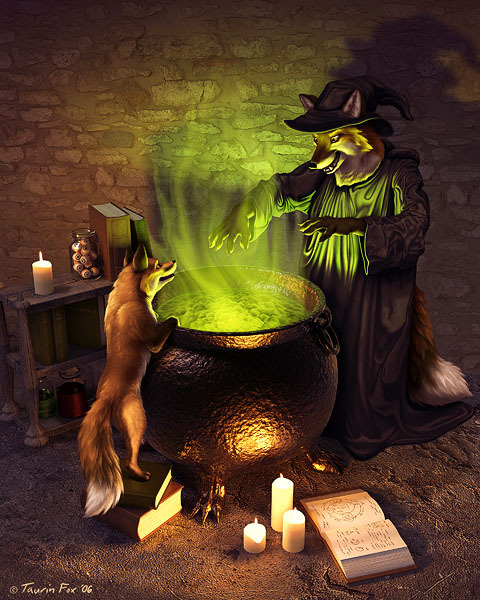 This was a commission piece, and one of my early attempts at merging my digital coloring technique with a 3D rendered background. As my style progressed, I stopped using the heavy line work and adopted a more realistic style. 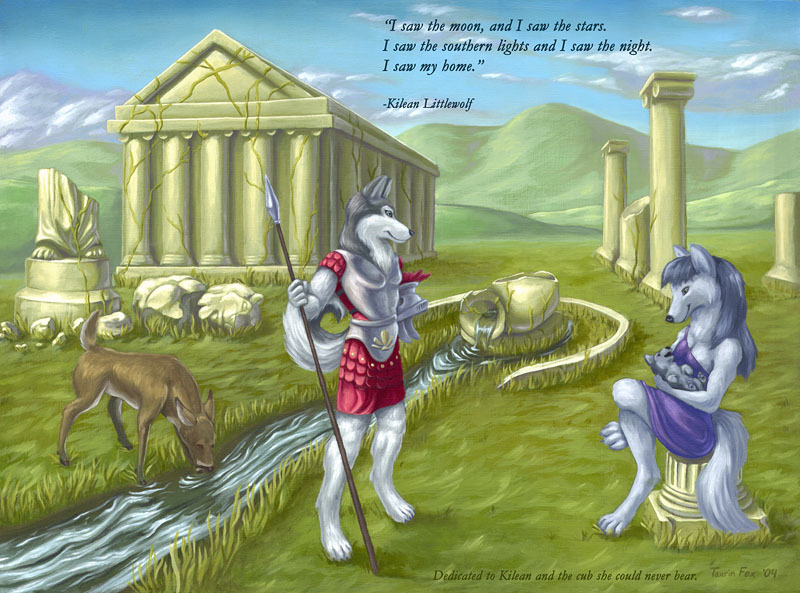 This was a piece I did in college for a children's book I was writing at the time. 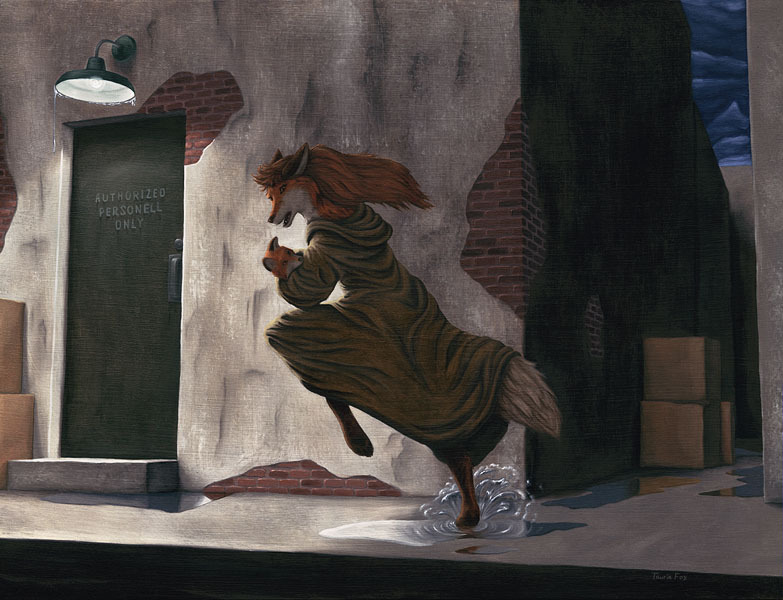 An oil painting done for the 2001 Anthrocon art show. 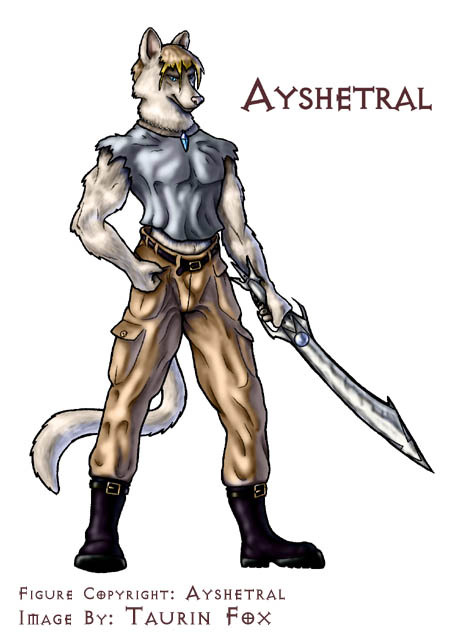 One of my earliest commission projects. 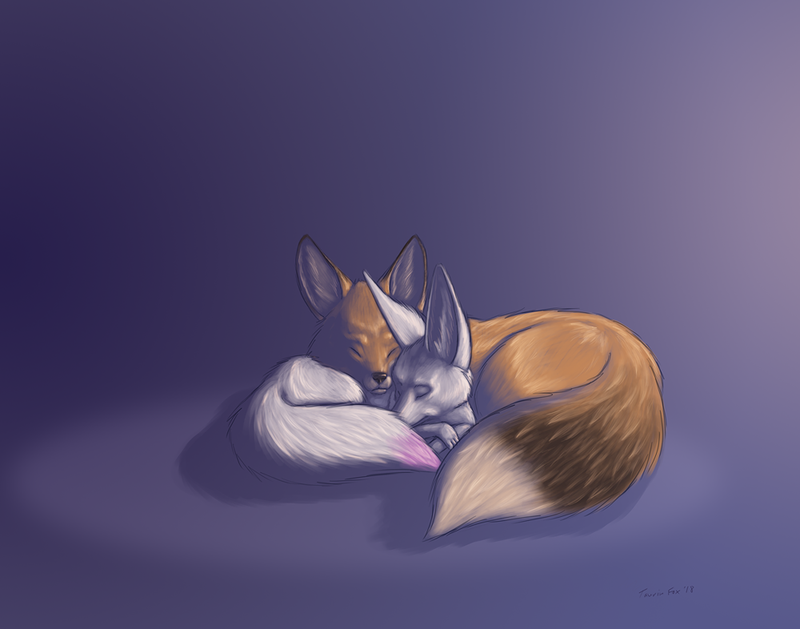 Done back when I was still trying to figure out an art style for myself. A silly piece I did for a convention art show in 2002, as a parody of the Power Puff Girls show. 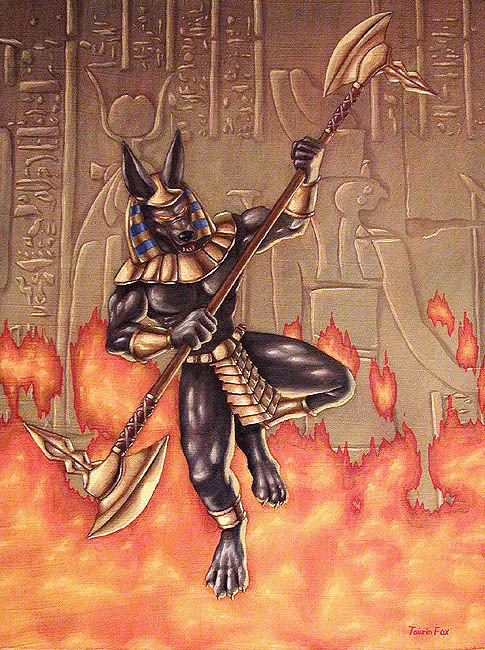 This was a badge I designed for FurFright, for their '03 convention. 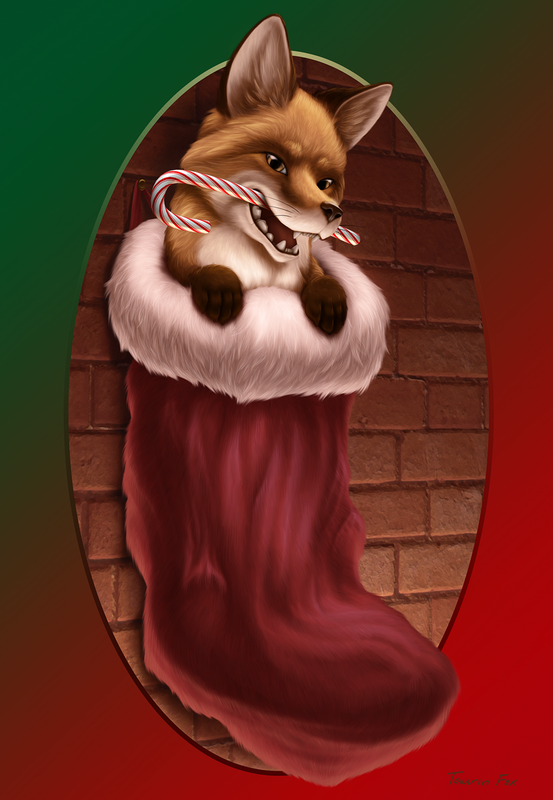 The artwork for a post card I sent out during the 2004 holiday season. This was a personal piece for me. 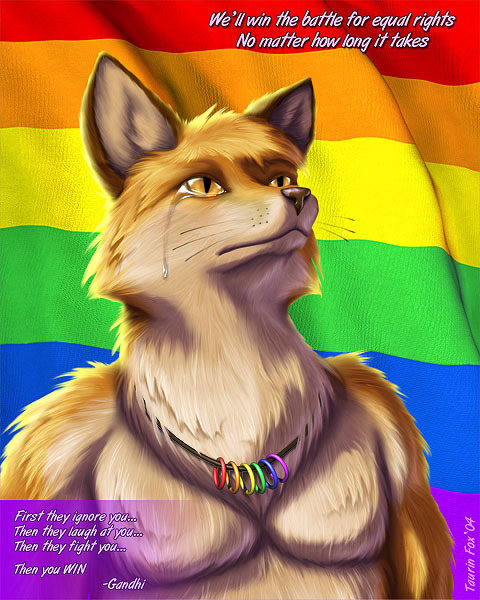 Done in the wake of the anti-gay backlash during the 2004 US election. 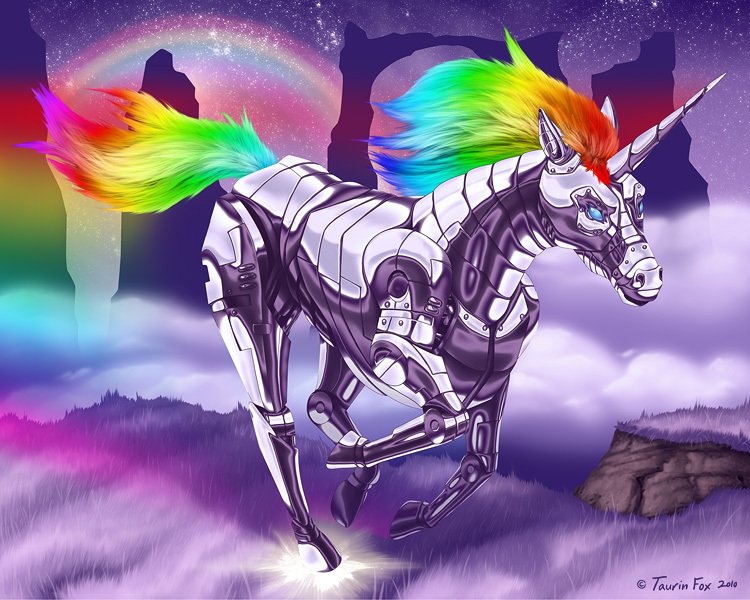 This rare unicorn of a piece was a commissioned oil painting. 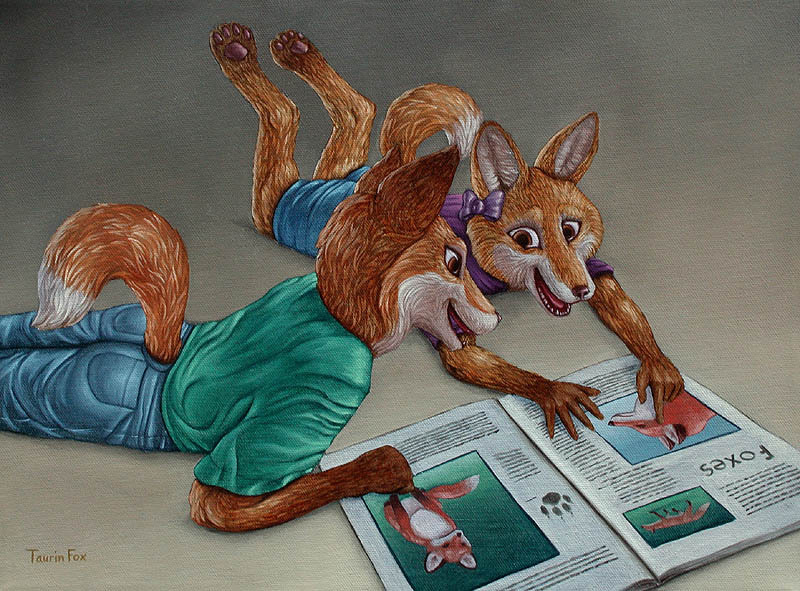 I've done other furry pieces as paintings in the past, but I believe this was the only one done as a commission. 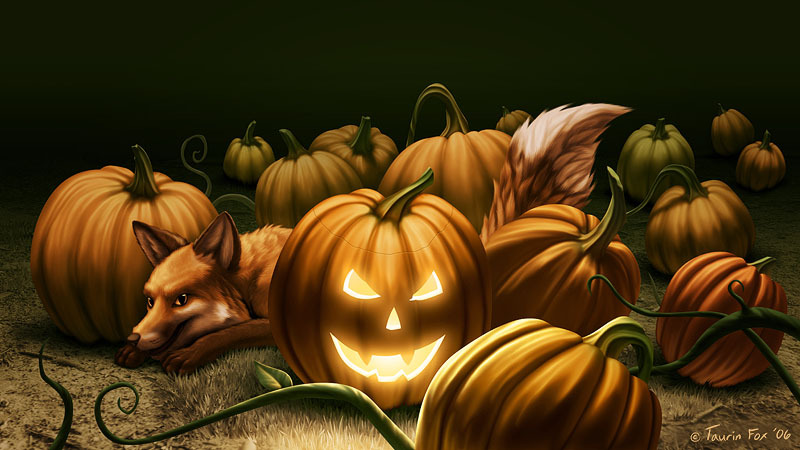 The first of what was intended to be a series of seasonal-themed bookmarks. I never finished the rest of them, but I might revisit the idea. 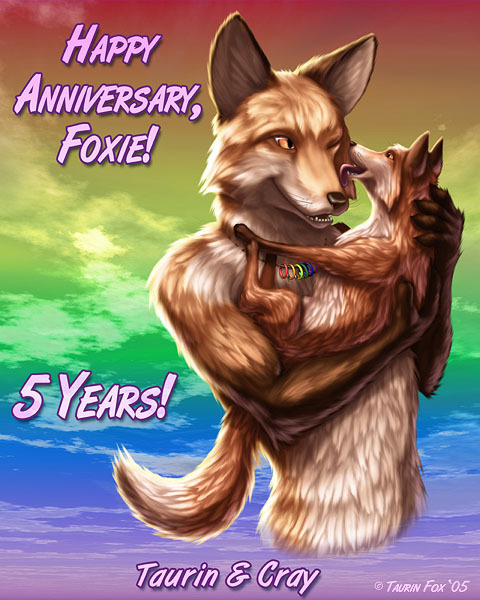 A present for my mate (at the time) Cray, for our 5th anniversary. A commission piece for Sym, which he had done as a tattoo. 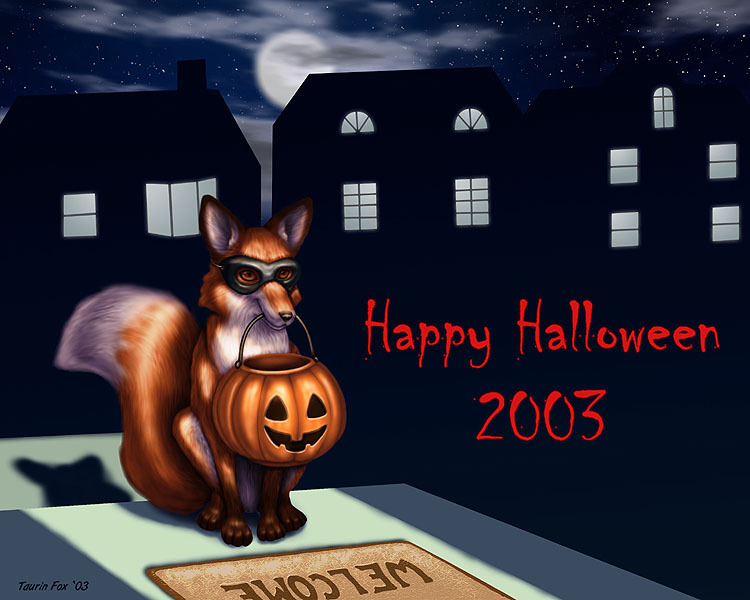 A card design that I mailed out during the 2005 holiday season. 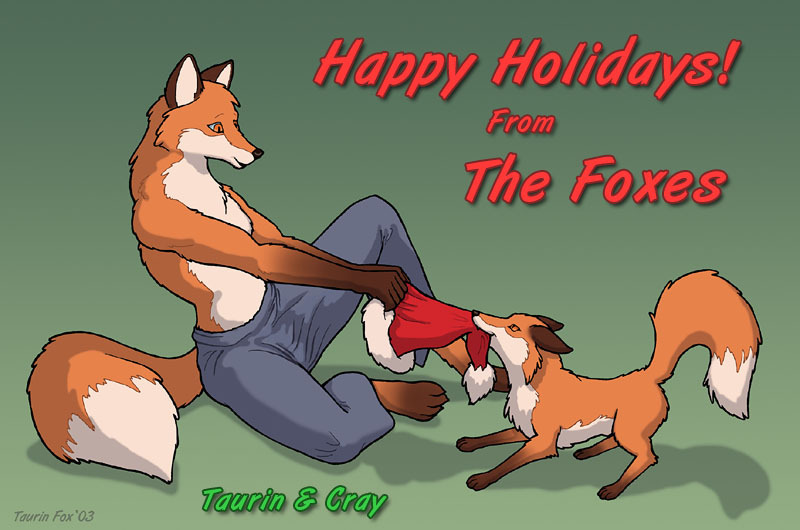 A card design that I mailed out for the 2006 holiday season. This piece is set in a post-apocalyptic future with a ruined dome-city in the background. 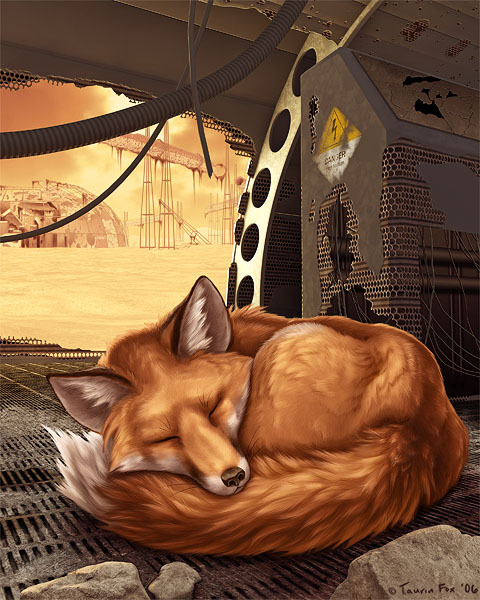 The fox who has made this crashed spaceship his home is resting peacefully, living his life without a care in the world about the now-extinct human race. 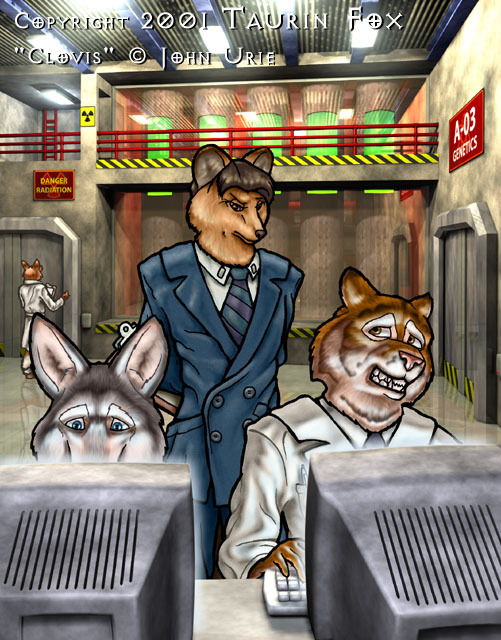 A piece that I did for FurFright '06. 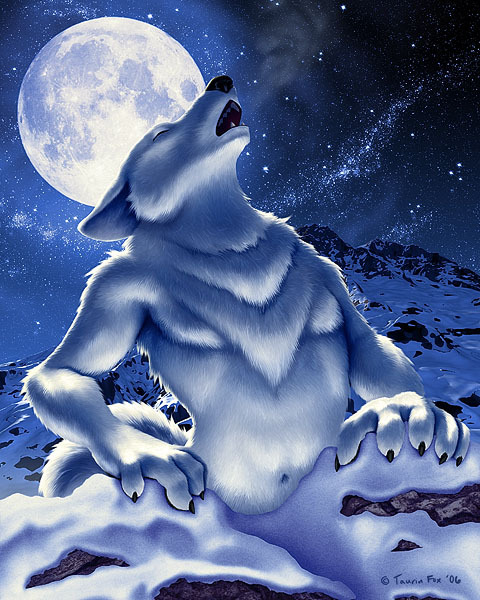 This was one of several designs that they used for con badges that year. A piece of fan art inspired by the popular Adult Swim Flash game of the same name. 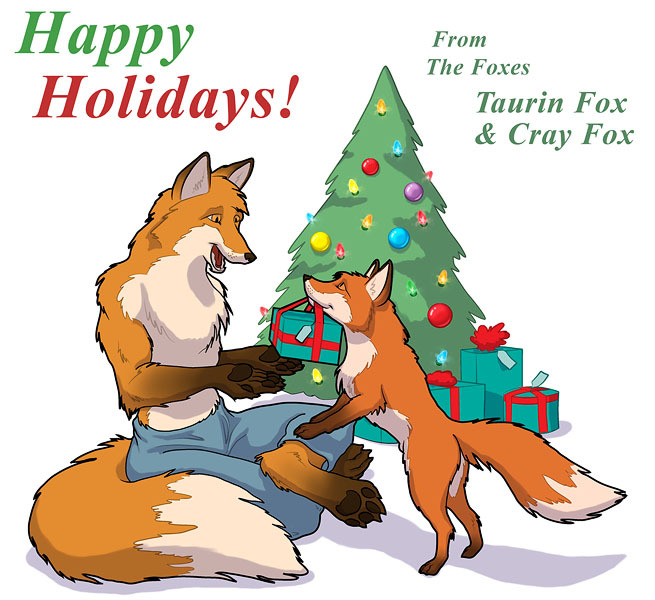 A holiday greeting card design from 2013. I really need to start doing these again! 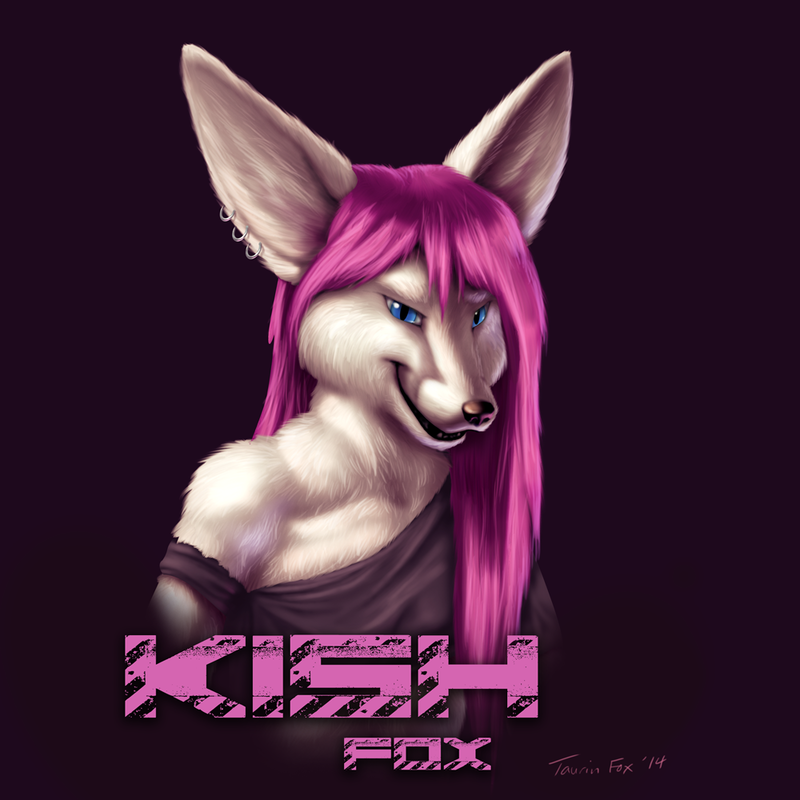 A badge for my mate Kish, finished just in time for Anthrocon 2014. 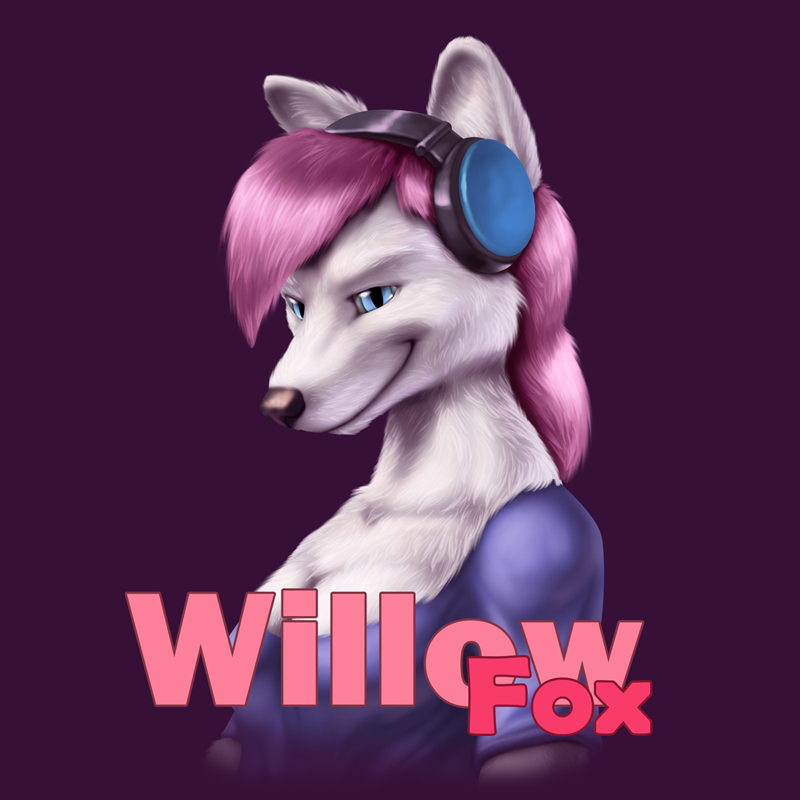 This was done for our good friend Willow as a con badge for Anthrocon 2014. This was done for our good friend Nemo, as a logo for his DJ work. Nemo passed away in January of 2018, and will always be remembered as a kind and wonderful friend (as well as an awesome DJ). 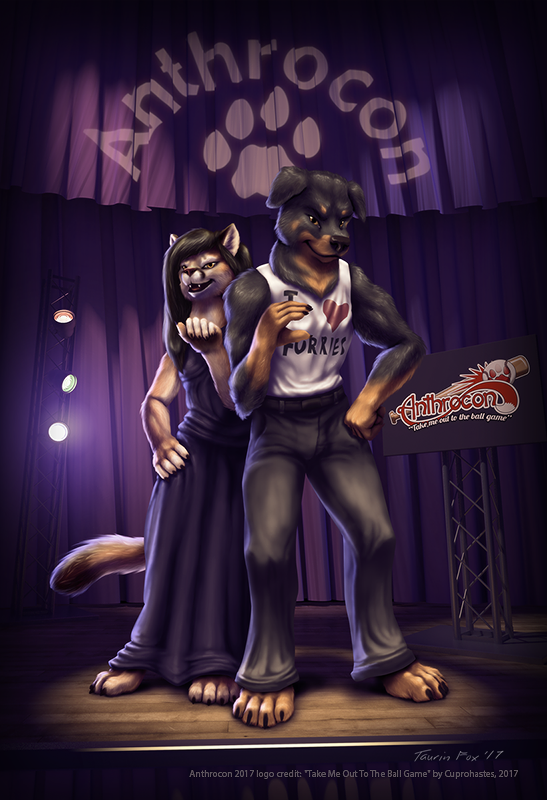 This is an appreciation piece celebrating Anthrocon's ASL (American Sign Language) interpreters. Here, Bic and Lauren are seen in anthro form making the ASL symbols for "A" and "C"
This piece was completed for Favnir of his demon character Jinx mourning the loss of his mother, whose spirit is embracing him in angelic form. 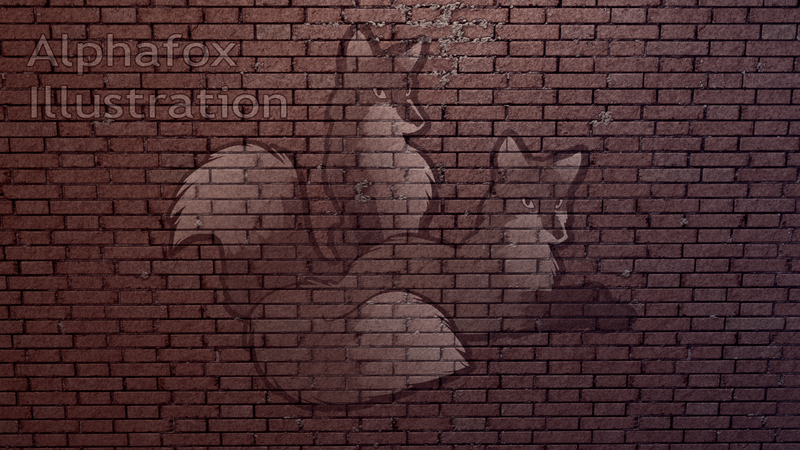 This was done as a backdrop for the offline screen on my Picarto streaming page. 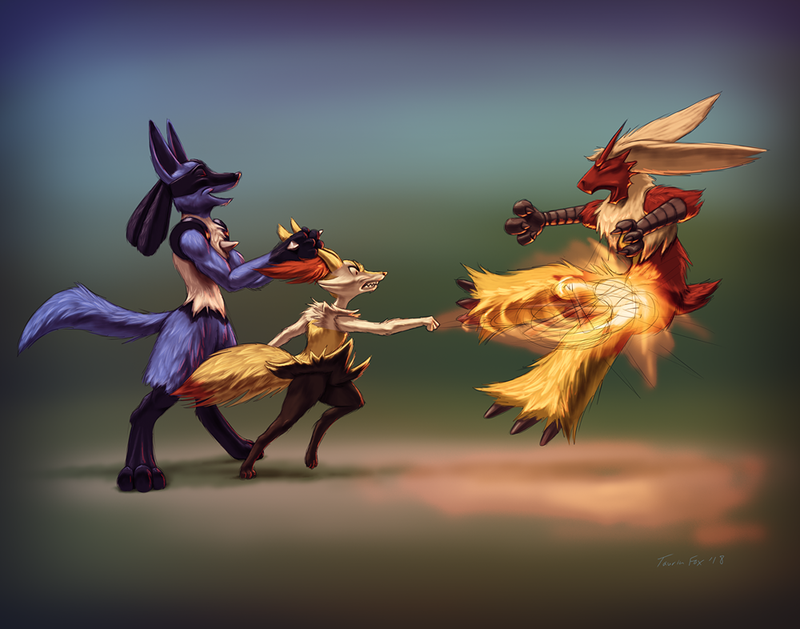 A piece inspired by our recent Pokken battles with our friends on the Switch.